Breaking News *** Emulator is Here *** Breaking News Lake DJ - Full-Time Professional Wedding and Party Disc Jockey. Master of Ceremonies. Wedding Ceremony Music. 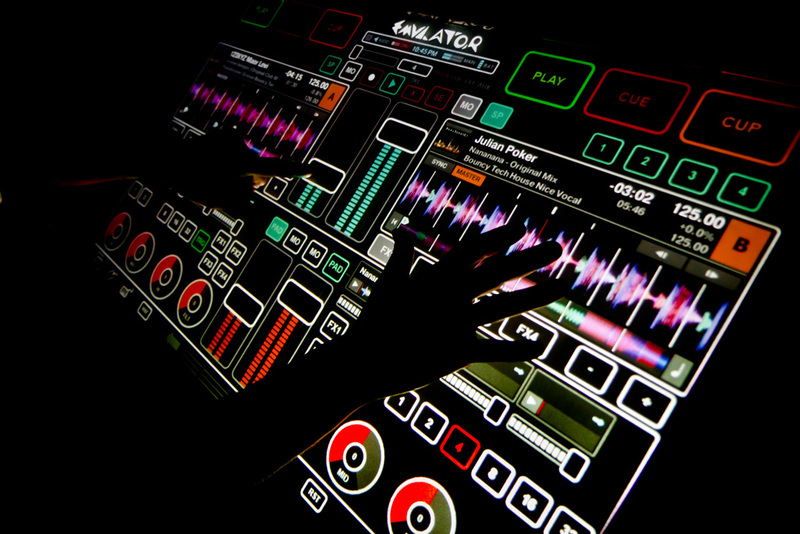 Lake DJ Offers Emulator - "The Future Of DJing"
Emulator is the World’s first and only, SEE THROUGH, touch surface DJ console. It looks amazing in the Video, but just wait until it's rocking your event! Over 25 Years Experience as a DJ an Entertainer and Wedding M.C. Weddings - Nightclubs - Master of Ceremonies - Parties - Birthdays. The Very Best Sound and Light Systems. "Bose" Sound System. "Denon" Digital CD Players. Very Extensive CD & MP3 Library. "Martin MX4's & Robocolour" Intelligent Light Show.